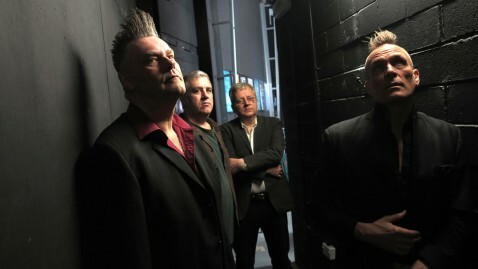 Highly influential UK post punk band the Membranes formed in the late seventies. Their angular records were popular with John Peel and the music press and had a big influence on groups from Sonic Youth to My Bloody Valentine. The group were a key part of the post punk DIY scene and toured the world several times. When My Bloody Valentine in 2009 asked them to reform for separate All Tomorrow’s Parties events it made sense for them to reform after a 25-year break. 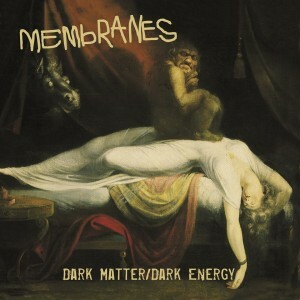 The Membrane’s brand-new album, Dark Matter/Dark Energy is already getting a great reaction and their gigs have been stunning. When frontman John Robb met the head of the CERN project after a TEDx talk, it was the start of the Membranes’ most audacious album. Long talks about the universe followed and the idea of the birth and death of the universe seemed perfect for a song cycle for the Membranes’ new album and for special one-off gigs called The Universe Explained where Robb interviews scientists on stage and the band play at the end. All the songs touch on aspects of space: from the opening track that is about the big bang of the universe to Joe himself explaining the universe over the spooky ‘Multiverse Suite’ to the closing track, the ‘Hum Of The Universe’, where the band capture the beauty and violence of the end of the universe and a human life. During the recording Robb’s own father died and the idea that when we all die we return our dust and energy to the endless void threads the songs. Musically the Membranes had no interest in being a retro band. Dark Matter/Dark Energy sees them moving forward and experimenting with fervent post punk, psychedelia, dark dub, drones, and rushes of noisy discord. Built around the bass guitar – the key instrument of the post punk period that birthed the Membranes – this is 21st century music made by a band who make music on their own terms.